BREAKING: US files first charges in #Benghazi investigation, reports our @evanperez . Watch @jaketapper now for the FIRST ON CNN report. UNC Wilmington student calls for change after racial taunts. David Mattingly has the story #OutFront on @CNN. Charges filed in #Benghazi terrorist attack. Coincidence in airing of @cnn #benghazitruth on the same day? 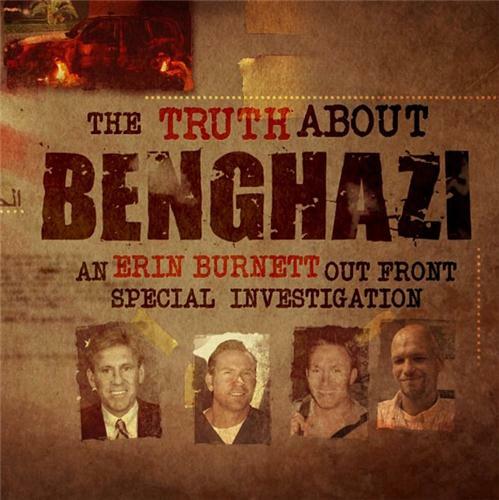 RT @Moloknee: TONIGHT: #BenghaziTruth -- An @ErinBurnett @OutFrontCNN Special Report -- 10PM on @CNN. RT = endorsement. “The Truth about #Benghazi: An @ErinBurnett #OutFront Special Investigation” airs on @CNN tonight 10p ET. Join the conversation at on.cnn.com using #BenghaziTruth.